A madhubani mural at DAV Public School Pushpanjali Enclave (ND). So friendly, so simple. So much fun. Second Issue of Paramayu is Out! We are happy to let you know that the second issue of our magazine Paramayu is out! This issue is Summer Special and contains a variety of useful information that will help you keep diseases at bay in this scorching summer heat. Our cover story talks about the importance of Pitta in maintaining good health. The Pitta Cooling Home article is quite informative and will offer you practical suggestions to keep your home cool in the scorching summer heat. I am sure you would also love to read our special interview with Chie Mombu, our Japanese partner and the person who organized my first workshop in Japan. In this issue, we have introduced special columns on Astro Ayurveda and Panchakarma, along with regular features such as Spirituality, Doctor Dadi, Recipe, Super Herbs, Yoga, News and Events, etc., that will help you stay close to the world of Ayurveda. Paramayu is a great platform to stay connected with Dr. Chauhan and the extended Jiva family. For subscriptions, visit www.paramayu.com. A group of eight learners visited Jiva to undertake a course on ‘Advanced Ayurveda’. These learners are practicing healthcare professionals who aim to learn Ayurveda and incorporate this knowledge in their practice, so as to provide a holistic healing experience to their patients. Their visit was organized by Ajurweda.pl – a well-known Ayurveda company in Poland and Jiva’s partners in the country. Participants of the Advanced Ayurveda Course pose with Dr. Partap Chauhan and Mrs. Chander Lata Chauhan (Principal, Jiva Public School) during their certification ceremony. These learners are practicing healthcare professionals from Poland. 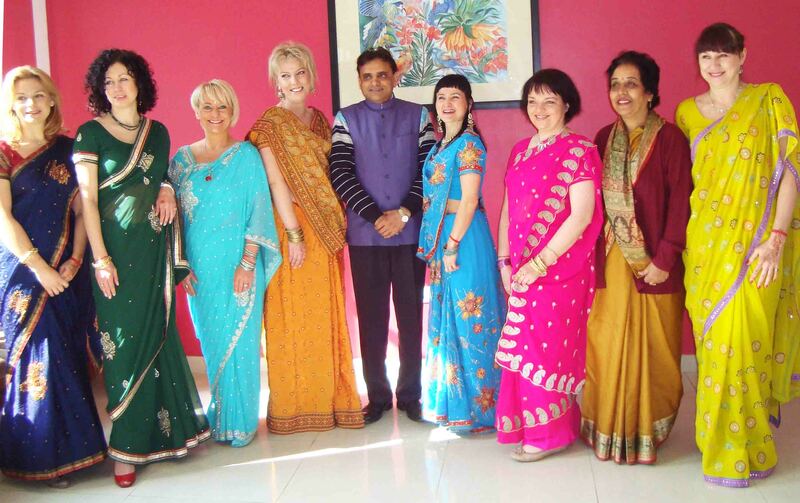 In November 2011, the same group of students had taken a course on Ayurveda and Nutrition in Poland. The course was conducted by one of Jiva’s most experienced Ayurvedic doctors, who has been trained by Dr. Partap Chauhan. If you are an Indian (especially up in the North), you are surely having all kinds of paranthas smeared with butter, as well as platefuls of samosas and pakoras to go with the evening tea. And why not! It is winters after all! As the weather gets colder, it is common for most people to get addicted to comfort foods and neglect exercise. As a result, our eating habits go for a toss and we end up gaining unwanted weight. It has been observed that people who undergo systematized dieting and regular workouts in summers also usually end up putting on those extra kilos in winters. Many of us are accustomed to having a cup of hot tea or coffee to rouse us from the morning slumber. Instead of going for your regular tea, try some herbal tea that has the right ingredients – ginger, Tulsi, lemon – to keep your body warm throughout the day. We love to gorge on stuffed paranthas with a topping of butter or ghee. Try avoiding the greasy bites and replace them with healthier options such as idlis, poha, upma, oats, sprouts, etc. Nibbling on a fist full of walnuts, almonds, raisins, etc. during late mornings will be good for your health; but remember not to overdo it. Make it a point to have seasonal fruits such as apples, oranges, and Indian gooseberry (amla) regularly to build immunity against common cold and other infections. Nothing can be as tempting as pakoras and chai in the evenings when you come back home after a tiring day at work. But then, if you do not resist these temptations, they might end up upsetting your digestive system. A yummy and healthy option is a bowl of soup – the choices could be tomato soup, carrot soup, mushroom soup, or mixed vegetable soup. Who wants to miss a bowl of dessert after dinner? And when it comes to winters, nothing beats homemade ‘gajar ka halwa’! Moong dal halwa, sooji halwa, and aate ka halwa, etc. sprinkled with dry fruits are other interesting and healthy options. It is also advisable to take a small piece of jaggery after dinner every day. Jaggery is rich in iron and aids digestion. During winters, our body becomes dehydrated because of the lack of moisture in the air around us. Most of us don’t realize this because we do not perspire in the cold weather. You should remember that a daily intake of 6-8 glasses of (preferably warm water that has been boiled with ginger) is as important in winters as in any other season. Lastly, do away with that laziness and don’t forget to go for walks or do some basic stretching on a daily basis. The air in winters is fresh and provides good prana vayu (life-giving air) to keep you healthy. 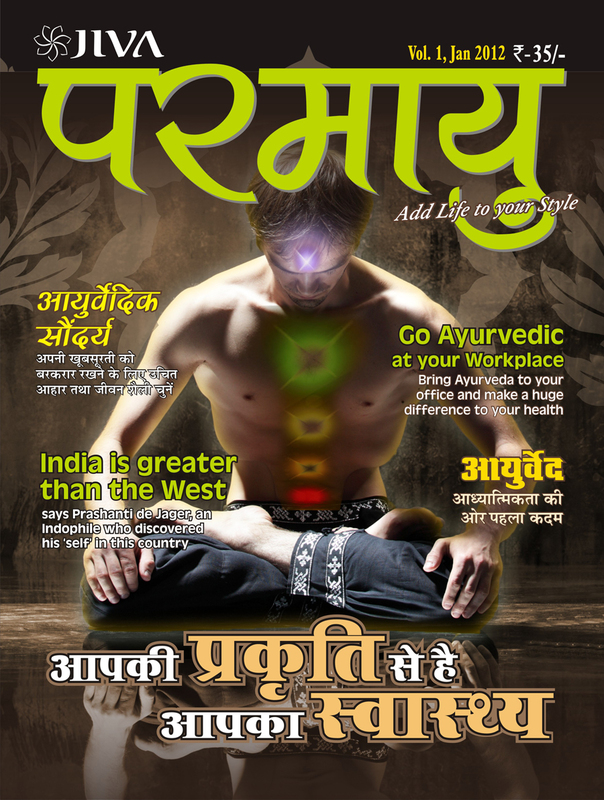 We are happy to let you know that we have launched our new Ayurvedic magazine – Paramayu. The inaugural issue is already out! Paramayu is an international quality magazine that seeks to increase the awareness about Ayurveda and help people incorporate its principles in their daily lives to lead healthier, happier lives. The magazine will bring to you the benefits of Ayurveda with the help of articles, case studies, interviews, expert columns, recipes, home remedies, tips, yoga, meditation, herbs, and more. Not just that, it will also serve as a great platform for you to stay connected with Dr. Partap Chauhan and the entire Jiva family. To know more, you can visit the Paramayu website. Navratri is one of the most special festivals for Hindus all over the world. With the start of Navratri comes the season of fasting and feasting. According to Ayurveda, fasting is an effective way to kindle the digestive fire and burn away accumulated toxins from the body. It also eliminates gas, makes the body light, improves mental clarity, and preserves overall health. However, in the name of fasting, many of us end up feasting on high-calorie food during the nine days of Navratri. Increase the intake of liquids in your diet as they are the best means of cleaning the toxins (ama) from the body. Some recommended options are fruit and vegetable juices, coconut water and vegetable soups. Being on an empty stomach for long hours can result in acidity and heartburn. To avoid this problem, you should take small and frequent meals throughout the day. Fresh fruits and salads are very effective in this regard. Vegetables like pumpkin and bottle gourd can be taken in the form of soups to fill you up with some calories. If you want to have Sabudana (Tapioca) Khichdi, make it by using minimal amount of oil. Use boiled potatoes, only a few crushed peanuts and well-soaked sabudana. Cook it before mealtime and have it hot and fresh. Use rajgira flour to make chapattis as it is lighter and refreshing. Even though potato is considered to be the main food during Navratri, you should limit your potato intake as it can get heavy to digest. If you want to try something different, make some idli and dosa from the samak ke chawal. Here’s an interesting Ayurvedic recipe that you can try out this Navratri. Boiled the lauki till soft. Drain the boiled lauki and cool it. Stir the curd with a hand mixer. Add lauki and blend well. Now add cumin powder, coriander leaves and salt and mix well. According to Ayurveda, Lauki Raita is supachya, which means it aids in the digestion process and helps in releasing the digestive enzymes. It is highly recommended for those who have a weak digestive fire. Moreover, it is also a filling and nutritious option for those who observe fast on Navratri. Here’s a piece of good news for Indian patients seeking Ayurvedic treatment. If you are a medical insurance policy holder, you can now have your treatment covered as part of your mediclaim. Till some time back, individuals who preferred such systems had to pay out of their own pockets despite having a comprehensive health insurance plan in place. But now, a number of insurance companies have started including such alternative forms of treatment under their cover, especially Ayurveda. If you are interested in getting your Ayurvedic treatment covered in your policy, please contact your insurance provider for further details. Unauthorised use and/or duplication of this blog's content without express and written permission from this blog’s author and/or owner is strictly prohibited. Excerpts and links may be used, provided that full and clear credit is given to the Jiva Institute and The Jiva Blog with appropriate and specific direction to the original content.